Thousands of residents n a number of Iranian cities including the north-eastern city of Mashhad took to the streets on Thursday demonstrating against unemployment, poverty and the rising cost of living. 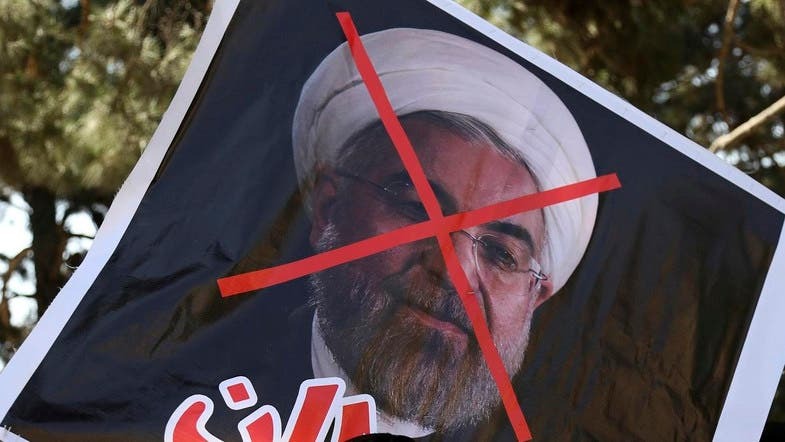 Protesters raised the slogans "Death to Rouhani, and Death to the Dictator". Usually the term "dictator" is addressed to Iran's Supreme Leader, Ali Khamenei. Protesters also waved banners denouncing Iran's interference in the Arab region. Similar protests were held in cities of Neyshabur, Shahroud, and Yazd. Mashhad is the second most populous city in Iran and capital of Razavi Khorasan Province. It is located in the northeast of the country, bordering Turkmenistan and Afghanistan. In Mashhad, the state security forces attacked and fired tear gas into the protestors. Earlier this week, demonstrations broke out in Isfahan, central Iran, in protest against the unemployment crisis. Officials in Isfahan warned of the worsening unemployment crisis, with statistics indicating that more than 27,000 people were fired from their jobs because firms went bankrupt over the past nine months. 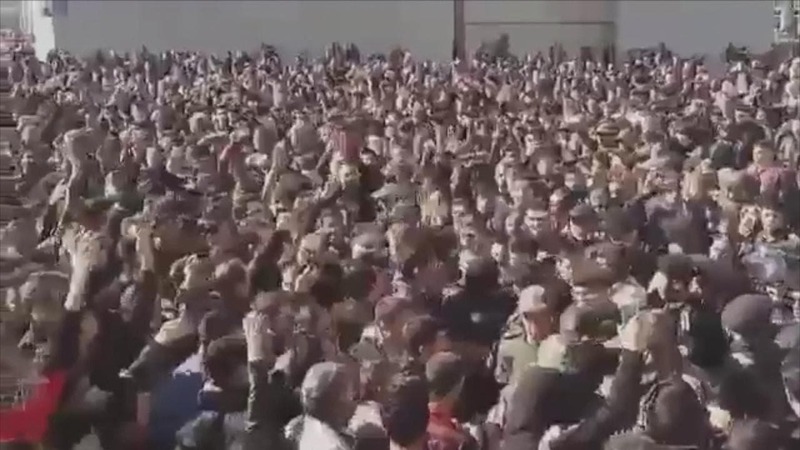 Maryam Rajavi, the President-elect of the National Council of Resistance of Iran (NCRI), described today’s uprising in Mashhad as indicative of the popular and nationwide desire for the overthrow of the clerical regime. She said today’s protests in various parts of Iran once again show that the overthrow of the clerical regime and establishment of democracy and popular sovereignty is the demand of Iranians nationwide. Rajavi said while the overwhelming majority of Iranian people suffer from poverty, inflation, and unemployment, a major portion of the national wealth and income is being used for the military and intelligence apparatus and for belligerence and meddling in the region or is being plundered by the regime’s senior officials. “Thus, as long as this regime is in power the economy and the welfare of Iranians will deteriorate, and the only solution to the economic and social ills and the crisis is the regime’s overthrow”, she said.